This is my 5th season guiding for Vail Valley Anglers. I started fishing for bass like most people in the US, but really got hooked when I landed my first striper in 2007. I love all types of fishing now and have a diverse knowledge base of saltwater, two-handed, and freshwater flyfishing. Talk to me about night fishing! I still need to get out of North America, but I have been lucky enough to fish anything from migratory "stripah," to snook in dirty canals, to wild steelhead in the pristine waters of British Columbia. Where does one start? A full quiver of LOOP Cross SW set-ups and a LOOP NXT 7wt for steelheading. Maybe a nice over-under shotgun to compliment my beautiful Wirehaired Pointing Griffon, Cutty. Fishing(of course), slinging arrows, and watching Cutty come to life for small game in the field. Having a good beer on the river with some great friends is hard to beat. Very hard to beat these office views! 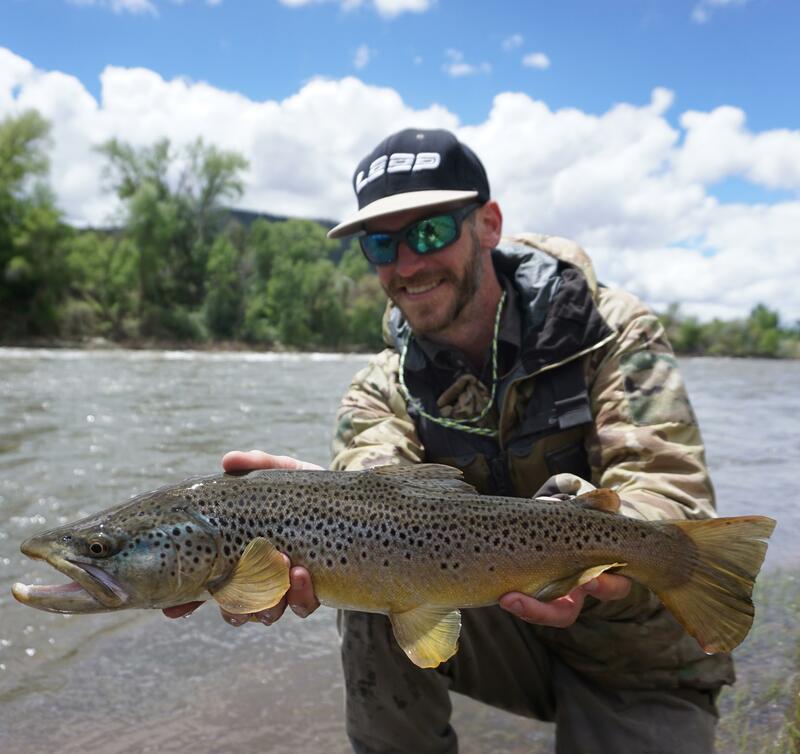 It's a cliche thing for guides to say, but it really is special to share new experiences with people from landing a first fish, to simply taking in the wildlife and scenery in this area.